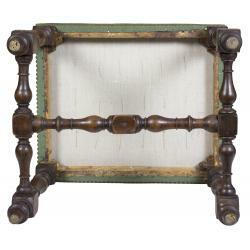 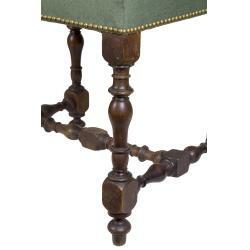 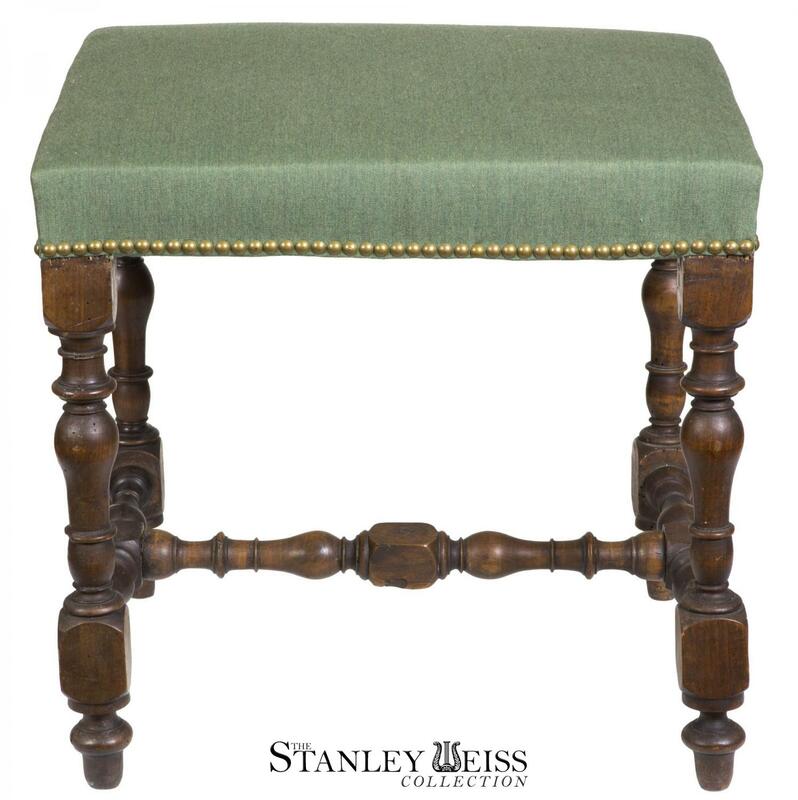 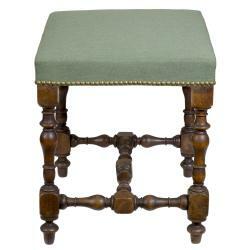 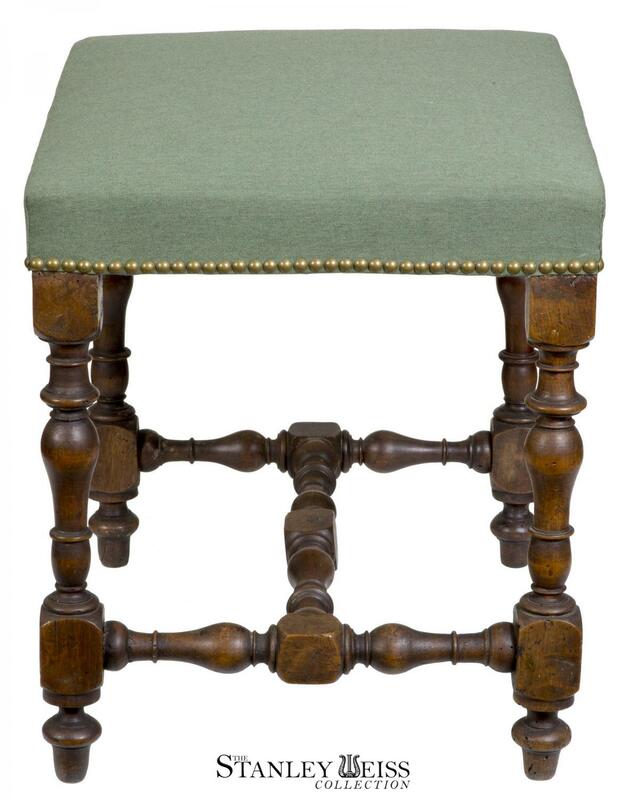 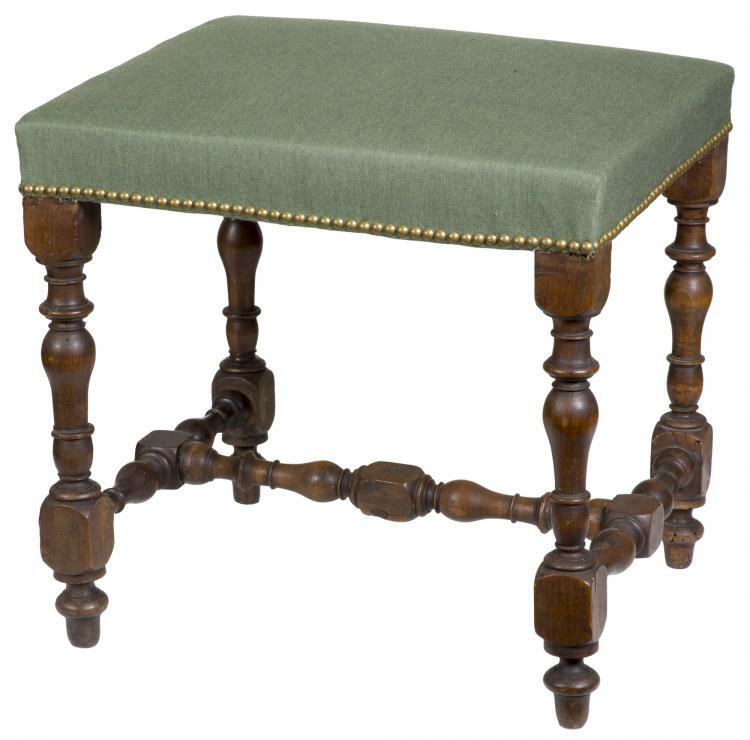 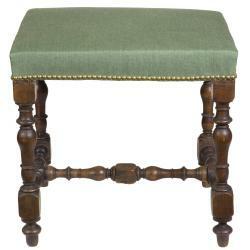 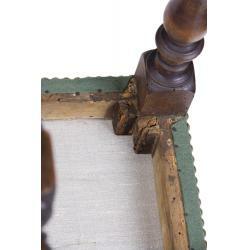 We have reupholstered this footstool and the structure underneath shows its originality and age. 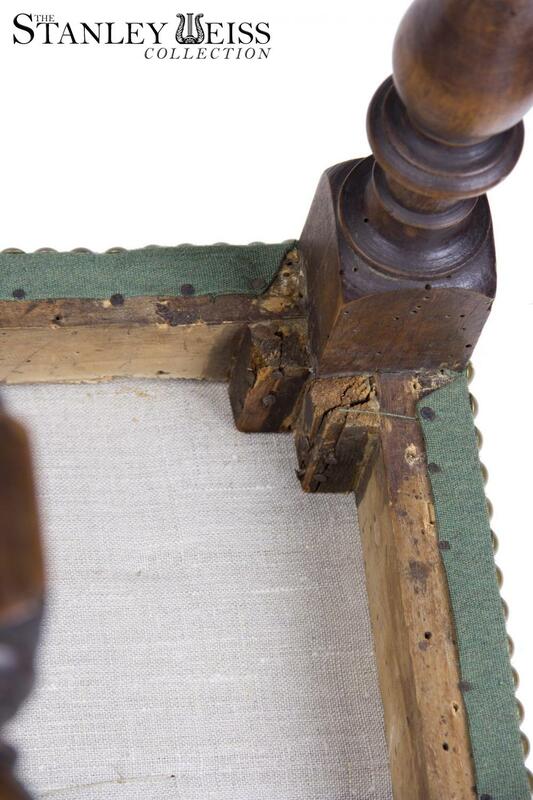 This is a very well preserved example with a well preserved surface. 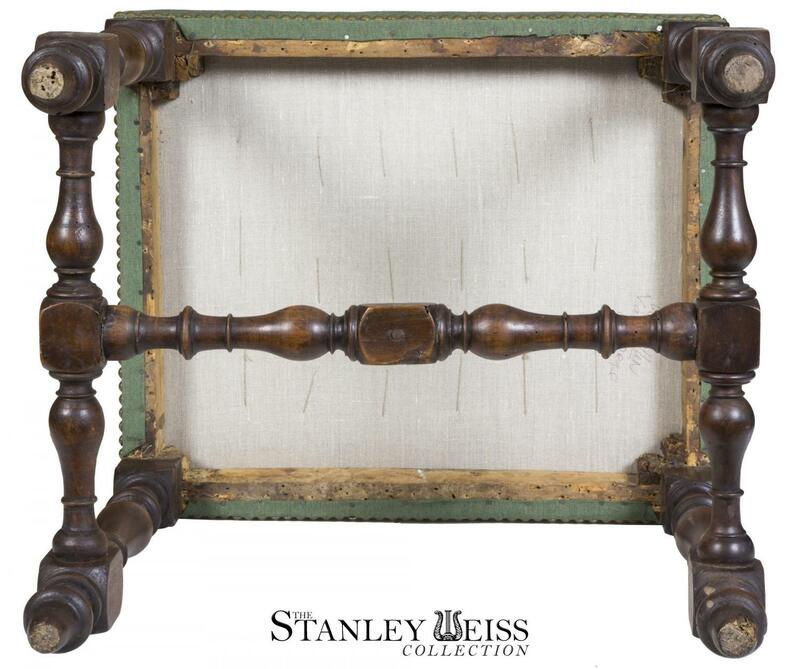 Height: 19 1/4 in. 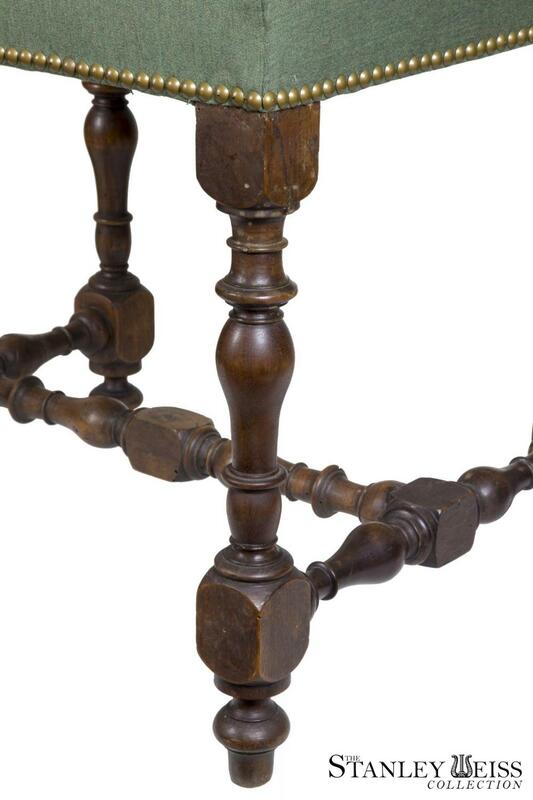 Depth: 16 1/4 in.